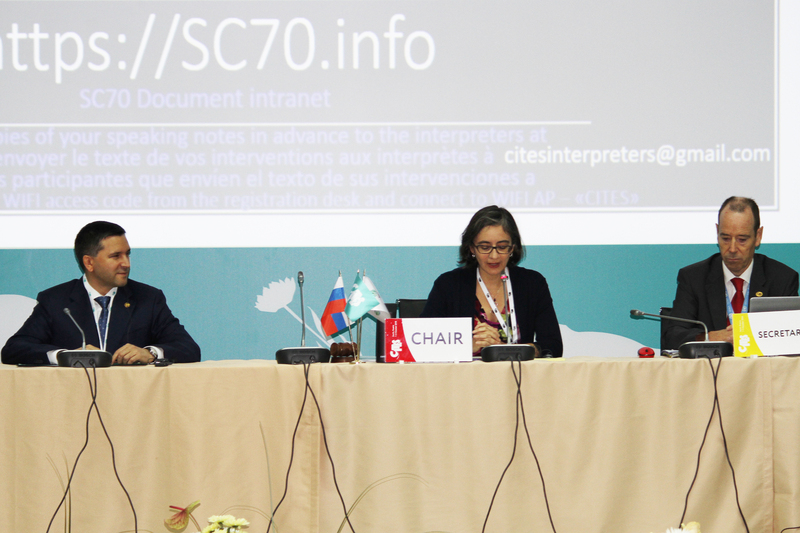 01 October 2018, Rosa Khutor, Russian Federation: The Standing Committee of the Convention on International Trade in Endangered Species of wild fauna and flora (CITES) today opened for the 70th time in Rosa Khutor in the Russian Federation. The five-day meeting of the delegated governing body of the world’s largest wildlife conservation agreement will lay the groundwork for the 18thConference of the Parties, which is scheduled to take place in Colombo, Sri Lanka, from 23rd May to 3rd June 2019. The Standing Committee meeting also takes place less than two weeks before senior Government figures from many countries meet in London to discuss the international response to illegal wildlife trade. The meeting will take stock of the legal, enforcement and institutional issues concerning both legal and illegal international wildlife trade in a number of wildlife species and related products as well as the threats it poses to their survival. 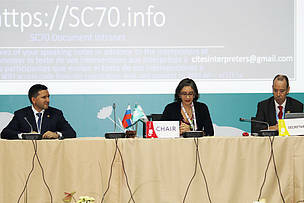 The Committee will consider scientific advice from the CITES Animals and Plants Committees, which met in Geneva in July which discussed among others, the status of the African lion, sharks, precious corals and rosewood. The Committee will also receive reports from other expert sources on such matters as the status of elephant poaching, illegal and legal trade issues related to several species including rhinos, Asian big cats and marine turtles. The Committee will also consider issues around compliance with CITES rules by certain countries including Nigeria, Democratic Republic of Congo, Lao People's Democratic Republic and Japan. “There are countries which are a part of the illegal ivory trafficking chain that blatantly demonstrate a lack of political will to uphold their CITES commitments – urgent actions need to be taken to hold them accountable. At the same time, we want to see stronger commitment by partners to support the implicated countries, that simply lack the capacity to tackle the crisis,” says Margaret Kinnaird, WWF Wildlife Practice Leader. On the issue of the tiger trade, WWF will be seeking to ensure that the Committee takes action to ensure, in line with stated CITES policy, that tigers are not bred in captivity for commercial trade in their parts and derivatives, including for medicinal products. “We do not believe proposals by Lao People's Democratic Republic to convert these farms into safari parks offer a suitable solution to halting their role in the illegal tiger trade,” says Heather Sohl, leader of WWF’s Tigers Alive Initiative. Noting a report to the meeting detailing issues facilitating the illegal tiger trade, she added, “We need strong decisions and action that will strengthen legislation, improve law enforcement, phase out tiger farms and reduce demand for tiger parts and products." WWF also hopes that the Committee will take action to address Japan's hunting of sei whales in international waters and subsequent sale of meat in Japanese markets which is in breach of CITES rules. It is also hoped that Madagascar will take credible action to audit its stockpiles of rosewood timber before it is allowed to trade in this species, which fetches high prices in Asian markets. The Convention on International Trade in Endangered Species of Wild Fauna and Flora (CITES) entered into force in 1975, in response to concerns that many species were becoming endangered because of international trade. Because this trade crosses national borders, international collaboration and cooperation is crucial to ensure this trade is sustainable and controlled and does not threaten or endanger wildlife. As part of its work on wildlife conservation, WWF supports both enforcement of, and the listing of endangered species in, CITES – the world's largest and, by some accounts, most effective international wildlife conservation agreement.